Every Scout deserves a trained leader. The University of Scouting, the premier training event in the council, is one of the easiest ways for adult volunteers to achieve this goal. This single-day training event is designed to supplement any leader’s training. Any Scout leader may attend. Degrees and courses are available in three college related to each of the Four Function (although commissioners are trained elsewhere, commissioner-related courses are available to leaders in units). Additional courses are available in General Studies to supplement your education experience. Each college offers a bachelor or masters degree program. There is also a doctoral degree program available for those who have earned a masters degree. 1. Complete your required training(s) for your registered position. -Four (4) credits from the College of your choice. -Two (2) additional elective credits from the General Studies or any other College. 1. Hold a Bachelor’s Degree from this University. -Three (3) credits from the College of your choice. -Three (3) additional elective credits from the General Studies or any other College. 1. Hold a Master’s Degree from this University. -Four (4) credits from the required Ph.D. courses. -Two (2) credits from any other College of your choice. 3. Complete a written thesis / project under the mentoring and approval of the teaching staff. 1. Hold a Doctoral, Master’s or Bachelor’s Degree and desire to continue the educational process. 2. Complete six (6) additional University credits from any College. There is no limit to the number of Continuing Education Degrees you can earn from this University. *All courses in green text, beyond this point, are new to University of Scouting! Sustainability means the ability to endure. Conserving the land, forests, air, water, wildlife, and limited resources we all share is everyone’s responsibility. Reducing what we consume and recycling, re-purposing, restoring, and repairing what we own all are parts of being thrifty, a key point of the Scout Law. Our journey began more than 100 years ago with an emphasis on conservation. In time, we deepened our commitment to environmental stewardship. Now, our focus has shifted to sustainability. We invite you to join us as our journey continues. 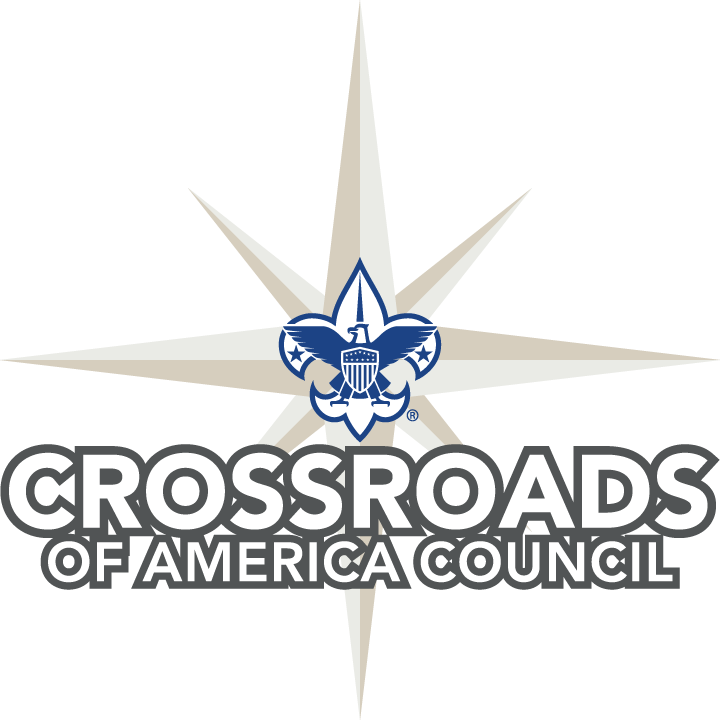 Have a question about training events offered by Crossroads of America Council, including University of Scouting?